Henry Butcher Art Auctioneers Sdn Bhd recently held its second art auction which saw some 87 paintings coming under the hammer at the Sime Darby Convention Centre in Kuala Lumpur. The secondary art market has become quite a common event in the Malaysian art scene recently following the success of the first Henry Butcher art auction earlier this year which saw 86 paintings sold for a total of RM4.02million. 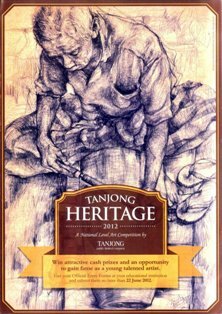 Apart from art collectors and enthusiasts, this edition saw the participation of corporations like Khazanah Nasional as well as Bank Negara Malaysia. For the second instalment, about RM3.5million worth of art was sold where the highest art auctioned off at RM605,000 involving an oil painting (Samarkhand) by Abdul Latiff Mohidin. Khazanah Nasional Bhd got involved in the action where they won the third most expensive bid of the event according to Lim Eng Choon, the director of Henry Butcher Art Auctioneers, there has been an increase of interests from Singaporean for Malaysian art and that has contributed to the Malaysian art market. 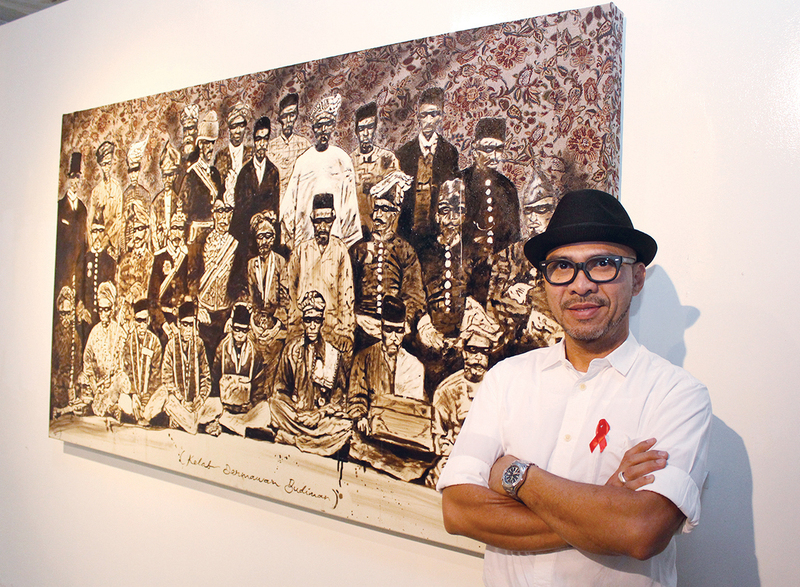 In the May edition, the most expensive painting was auctioned off at RM797,000 which was the ‘Red, Orange and Core’ artwork while this time around, Abdul Latiff’s painting fetched more than double its estimated price which was between RM150,000 and RM250,000 and was bought by a private collector. Meanwhile, the painting that Khazanah acquired was at RM264,000 which was for an untitled painting by Datuk Ibrahim Hussein. 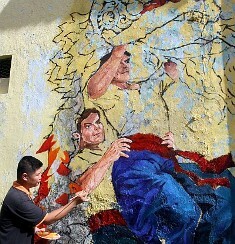 The estimated price that this piece of work was expected to fetch was between RM180,000 to RM280,000. Among all the artworks paraded, 5 were not sold which were the works of J Anu, Ramlan Abdullah, Raja Shahriman and Ismail Hashim while there were 5 other works which did not meet the low-estimated prices. Datuk Hoessein Enas’ ‘Morning Mist IV’ was sold off for RM71,500. This was in stark contrast when the artist’s ‘Morning Mist V’ was sold for RM198,000 in last year’s Henry Butcher event (HB2). Apart from Latiff’s RM600k painting, there were also 14 new records set while Latiff’s ‘New Landscape’ was the second highest work sold at RM374,000. 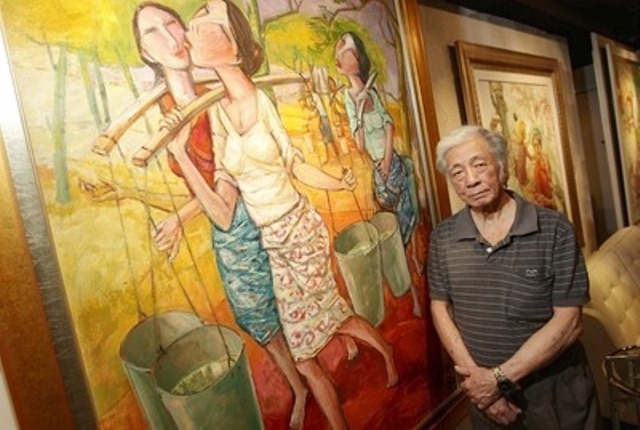 Other notable paintings sold include Datuk Chuah Thean Teng’s ‘Bathing Baby’ work which was sold at RM176,000 thereby cementing a new record and recognition for batik art so often exuded by the artist. Another new record was also set by the painting ‘Awaiting’ by Chang Fee Ming when it was sold for RM143,000 for the only one of five left in Malaysia. Meanwhile, the late Chen Wen Hsi’s ‘Gibbons Looking for Fish’ came under the hammer for RM126,500 while Argentinean artist Gustavo Charif’s ‘Lamborghini Aventador ‘ was auctioned off for RM27,500 which will be used to buy Latin American art books and donated to the National Visual Arts Gallery’s library.